The era of dealing with multiple vendors to build an evidence management system is over. AVaiLWEB is a powerful, all-in-one virtual command center that can be accessed anywhere through your browser. Many systems combined into one solution. Our software provides seamless transfer of information between all devices. AVaiLWEB is the center of the evidence ecosystem. Media items can be restricted based on user roles and media classifications. Users can be restricted to only view media items with certain classifications. Media Items will be related together based on pre-defined conditions such as close proximity or matching custom fields. Create a case and add video, audio, images, articles or notes. You can also import external files into the case. Cases can also be related to other cases. Play videos from different devices simultaneously in the same interface. The gps data from each incident will display and draw in real-time on a map. Devices automatically offload video to the CJIS compliant cloud which can be reviewed instantaneously from AVaiLWEB. Releasing critical footage quickly is now effortless. Automatically redact hours of video evidence, using our cloud-based software. Smart Redaction protects privacy while allowing transparency. In this mode, Smart Redaction will blur the entire video. This capability can be completed by the user with a click of a button. In the Smart Blur Mode, Smart Redaction can automatically identify and redact all faces and body parts in a video, ensuring that everyone within the video is blurred, while keeping important objects and landscapes sharp. Within the Interactive Blur mode, a video administrator can select one or more objects in a video to redact. Smart Redaction™ then redacts the selected objects as they move. Alternatively, the administrator can select one or more objects to not redact. Smart Redaction then redacts all faces and body parts in the video with the exception of the selected objects. Expansion made easy. We understand pre-existing CAD platforms are readily available. AVaiLWEB can utilize data from those systems to create action zones. Thus allowing, sight of nearby officers’ location to provide greater situational awareness. Manage officers quickly and effectively from our all-in-one solution, AVaiLWEB. 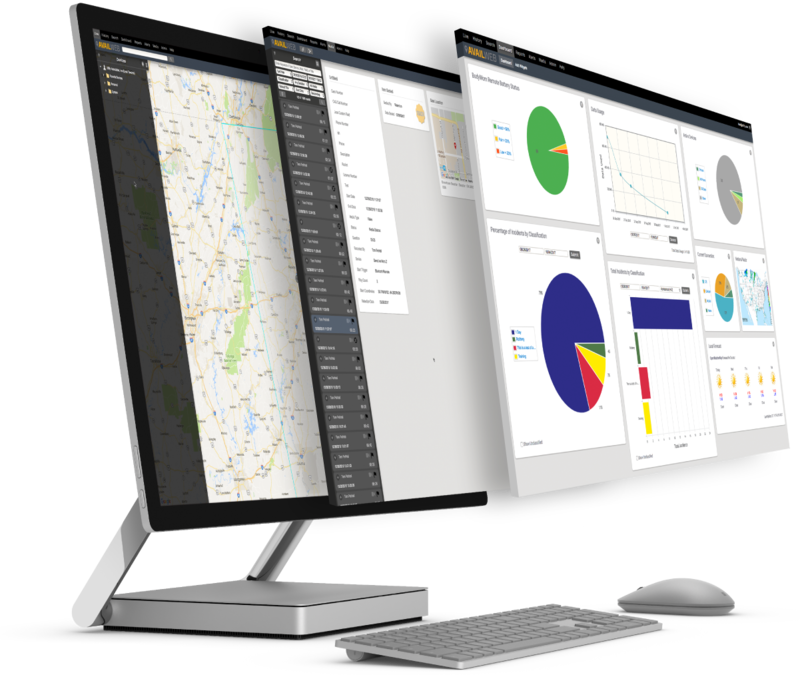 Track assets in real-time, configure devices remotely, and view aggregate fleet reports. Import or create map overlays for occasions like PredPol, Geofences and more. To infer the officers’ situation through context is inefficient. Perspective can be shared like never before. View live streams to help officers make smarter decisions. Locate and initiate live streams remotely through AVaiLWEB.